Q: What does being a member of NAWBO Silicon Valley mean to you? SY: Women business owners helping each other and networking. Q: How has NAWBO Silicon Valley helped you as a business owner? SY: It has introduced me to inspiring women and providing connections with other business owners. Q: What service(s) or product(s) do you offer/manufacture? SY: We provide the end to end solution for prescription birth control – from an online doctor’s visit to getting a prescription to the medications delivered by mail. Q: What made you choose this type of business? SY: About 3 years ago, while preparing a talk to educate other physicians about why women don’t take their birth control, I came across the statistic that one of the top reasons women don’t take their medication is because they didn’t have the medication on hand. My friend Perla Ni and I realized we could provide a delightful, online experience to this new generation that is used to getting things by mail by ordering online. Then, when we ran ads for “free birth control delivery” 60% of the women that responded didn’t have a prescription. I’m a doctor, I can write prescriptions, and thus we added telemedicine to provide those prescriptions. I have a passion for making women’s lives better and preventing an unplanned pregnancy. Q: How did you get where you are today, and who/what helped you along the way? 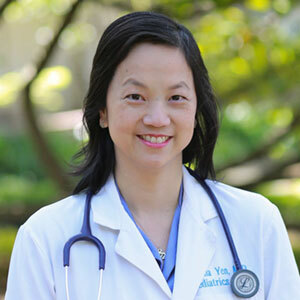 SY: I graduated from MIT with a BS in Biology, UCSF Medical School, Children’s Hospital Oakland residency, UCSF Adolescent Medicine fellowship, MPH from UC Berkeley focusing on Maternal Child Health. 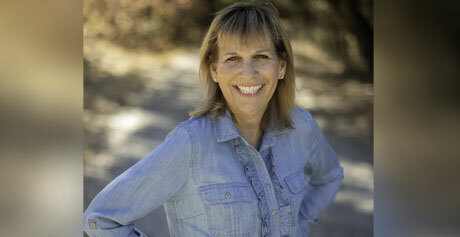 I have been working at Stanford Medical School in the Teen and Young Adult clinic since 2003. I Co-Founded Pandia Health because it needed to be done and I knew that I could put together the best team to make it happen. So, many people/groups have helped me along this entrepreneurship journey – StartX (Stanford’s Accelerator Program), One World (social entrepreneurship community), the Social Venture Network, Women’s Startup Lab, Springboard Enterprises, Charles Hudson of Precursor Ventures, Pankaj Shah, Steve Atneoson, Pramod John and fellow StartX alumni and StartX staff. Q: What is unique about your business? Q: To what do you attribute your success? SY: Passion, conviction, supportive husband/family/friends, connections, experience, expertise, women helping women, men wanting to help an entrepreneur with a great product. Persistence and drive. I won’t stop until we succeed. Q: What has been the role of luck in your success? Q: How do you achieve work-life balance? SY: I have dinner with my family (daughters and husband) as much as possible. My daughters have been included in this process – they help me prep swag to hand out and my 8-year-old knows my pitch and shares my company with women she runs into. My daughters see me as a CEO and they know women can be CEOs. Q: What have you learned about leadership, entrepreneurship and mentoring others? SY: I appreciate the leadership programs from Stanford Medical School Crucial conversations and Bartell and Bartell’s Flight Leadership program. My advisor Pramod John shared The Hard Thing about Hard Things by Ben Horowitz, Jason Calacanis’ Angel: How to Invest in Technology Startups, Delivering Happiness by Tony Hsieh of Zappos, Radical Candor by Kim Scott. Understanding the personality of your employees helps you better guide them to perform better. Q: What advice would you give to young women who want to succeed in the workplace? Q: If you had one piece of advice to someone just starting out, what would it be? SY: Don’t be afraid to ask for help. 1. If you could meet anyone famous past or present … who would it be and why? Supreme Court Justice Ruth Baden Ginsburg – she is amazing! 2. Can you tell us one of your passions in life? Making women’s lives easier. Preventing unplanned pregnancies. 3. How do you deal with stress? 4. It there a place you always dreamed of visiting? I’ve been blessed to have travelled the world. But would like to get to Bora Bora someday. 5. What’s the best advice anyone’s ever given you? Don’t be afraid to ask for help. It’s not a weakness. It’s actually smart.